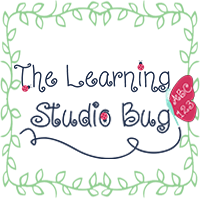 The Learning Studio Bug: Spider Science & Math Fun! 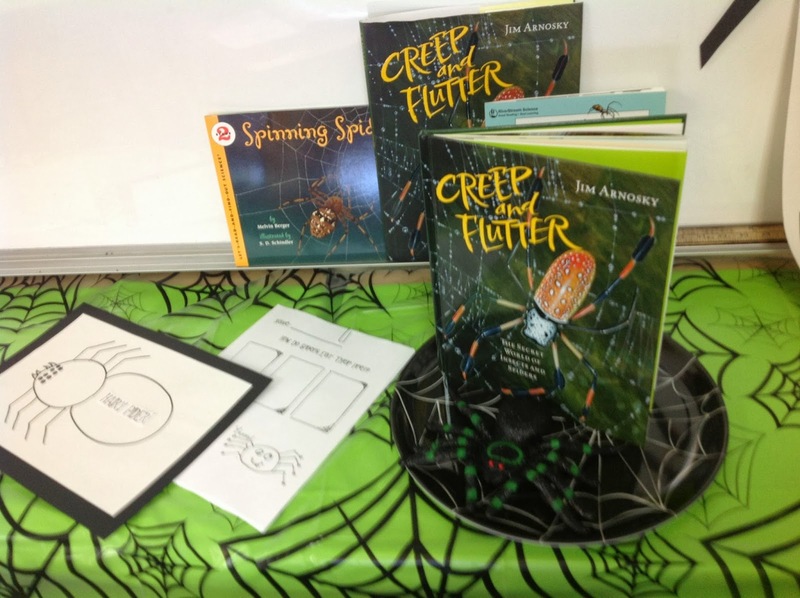 Spidey Senses were tingling today as we embarked upon our Spider Science & Math Unit. 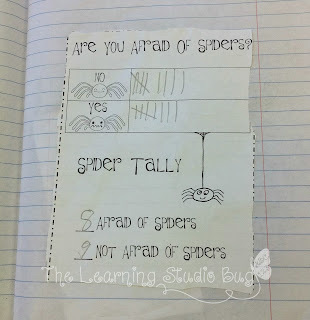 We kicked off our eight~legged arachnida bonanza with a class survey inquiring whether spiders can make you flinch or cease to phase you at all. (they really DO give me the 'hee~bee gee~bees' ha ha!). Our results were graphed and made note of within our Science Journals. 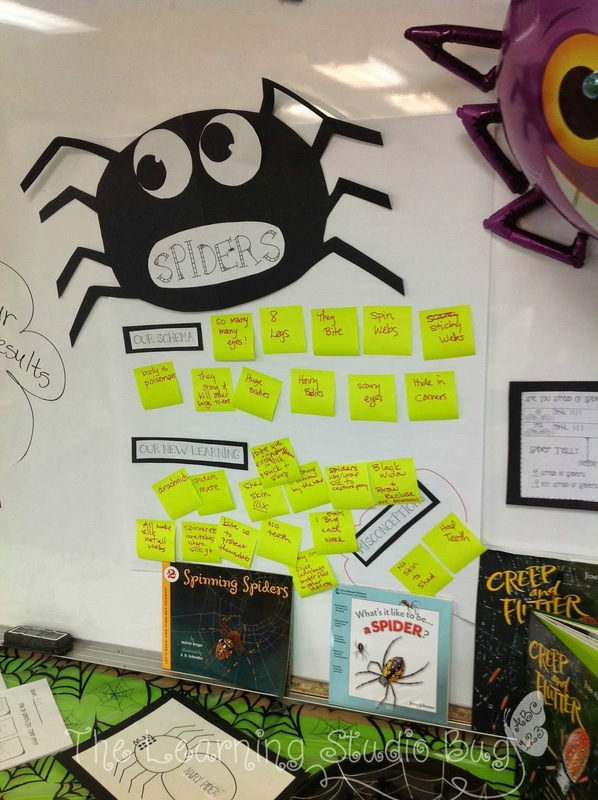 My Spider Sleuths shared their Spidey Schema (fancy words for divulging what they already knew about spiders). As it turned out, they knew quite a bit to boot! We dispelled only a few misconceptions. Our anchor chart was filled to the "brim" (also our Word~of~the-Day today) with many creepy crawly facts about spiders. 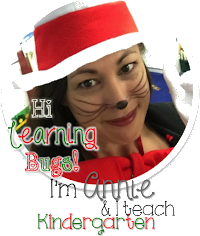 I have Deanna Jump to thank for her sensational spidey ideas on the anchor chart and camouflage including my culminating assessment at the end of our learning; Thanks Deanna! We shared and discussed so many spider facts and stories such as "Creep and Flutter: The Secret World of Insects" by Jim Arnosky. It provided some awesome images and illustrations for our visual learners! 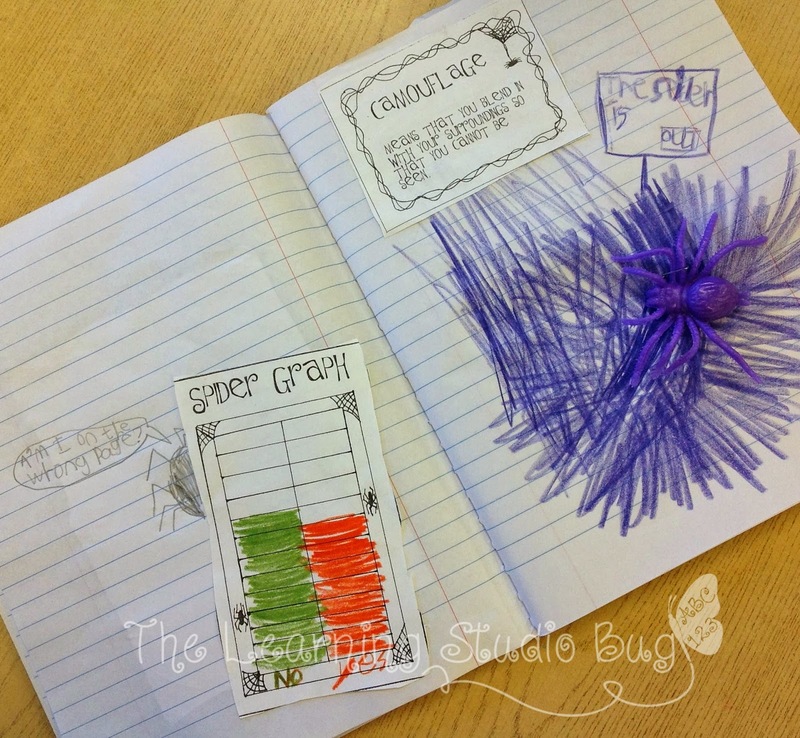 I used Deanna's assessment and added some additional spidey webs as the children reflected on the spider slurpee approach to capturing and devouring their prey ... oh my! It was indeed a creepy crawly kind of day! Ha Ha!